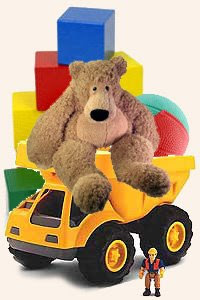 It's the season for toys, and CB7 wants your NEW and unwrapped toys or clothing for our community's children. Don't try to pawn off that toy your kid no longer likes...this stuff should be new! Community Board #7 is accepting donations of UNWRAPPED NEW TOYS & CLOTHING for girls & boys, from newborn to 12 years of age. Please bring your donations to our office at 4201 4th Avenue (corner of 43rd Street & 4th Avenue) no later than FRIDAY, DECEMBER 19!! If you wish to make a monetary donation, please contact our office at 718-854-0003 or email at communityboard7@yahoo.com for further information. These donations will be given to the needy children in this community.